It’s pretty crazy. 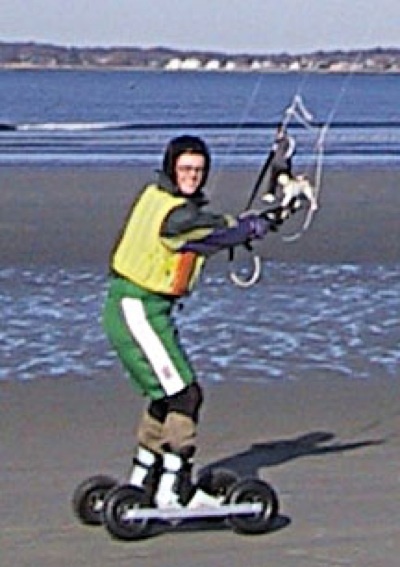 Hold onto a large kite and then haul yourself around a flat beach on these fat-tired homebuilt skates. They are made from old ski boots and surplus rubber wheels. The inventor is Tim Anderson who gives instructions on his website. 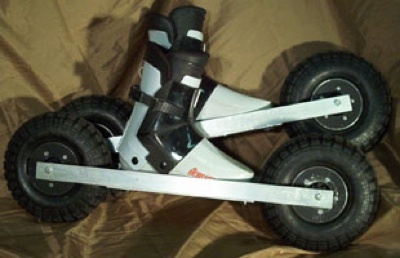 The skates have to be pretty sturdy. 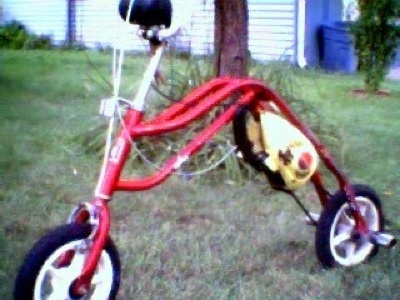 Lawn mower motors have long been appropriated for such venacular vehicles as go-karts and even bikes. Now there are weed-wacker powered bikes, and here a chain saw powered bicycle. If you want to make your own there’s some very fine instructions for the project on the Instructables site.